RPCZ/Bazalt is Kagan Publishing & Professional Development's exclusive partner in the Netherlands. Bazalt offers workshops and resources on Kagan Cooperative Learning, Multiple Intelligences, Win-Win Discipline, Brain-Based learning and more. 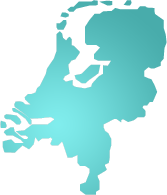 For Kagan products and training in Dutch within the Netherlands, please contact Bazalt.